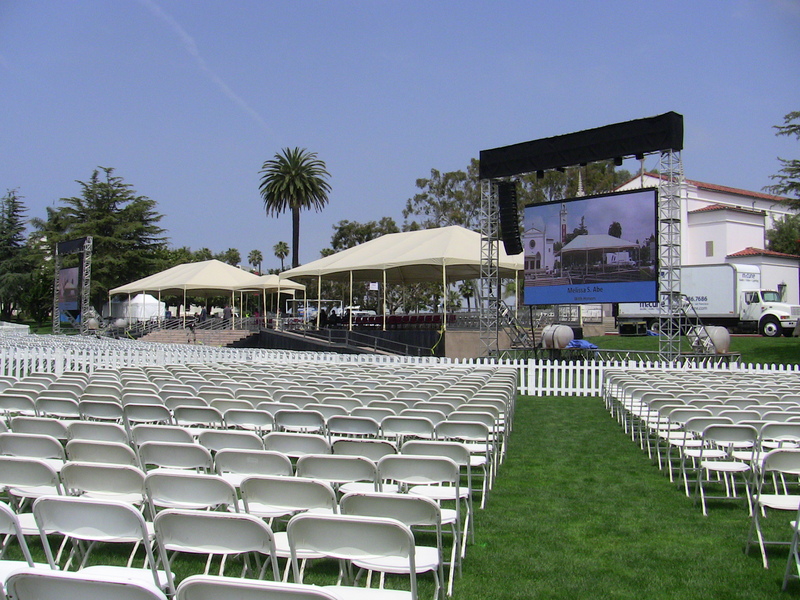 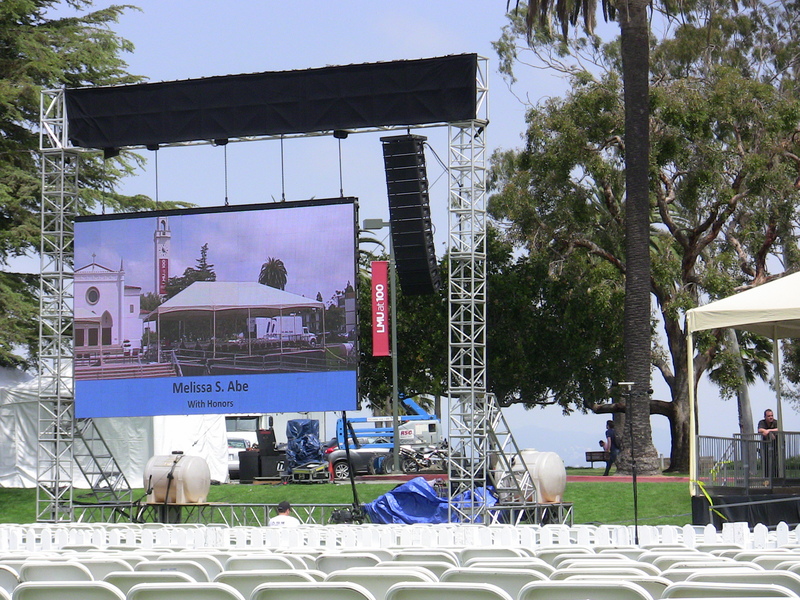 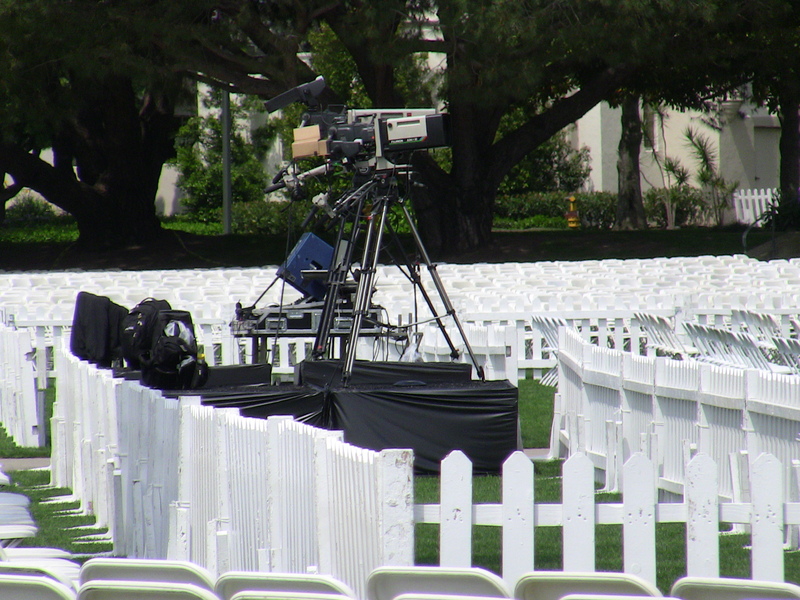 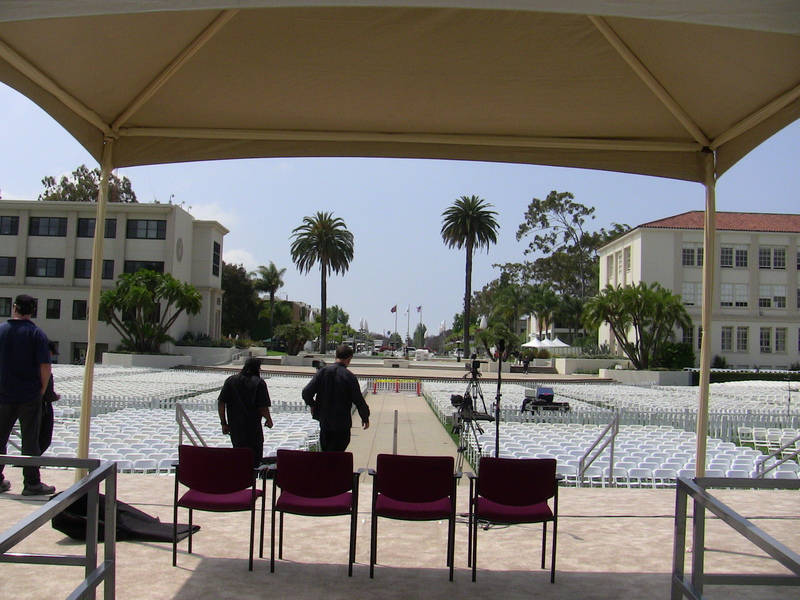 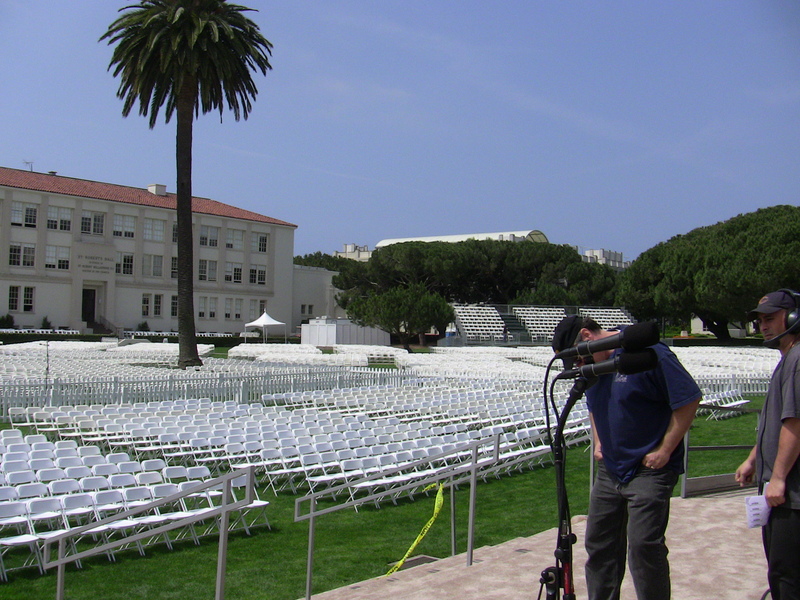 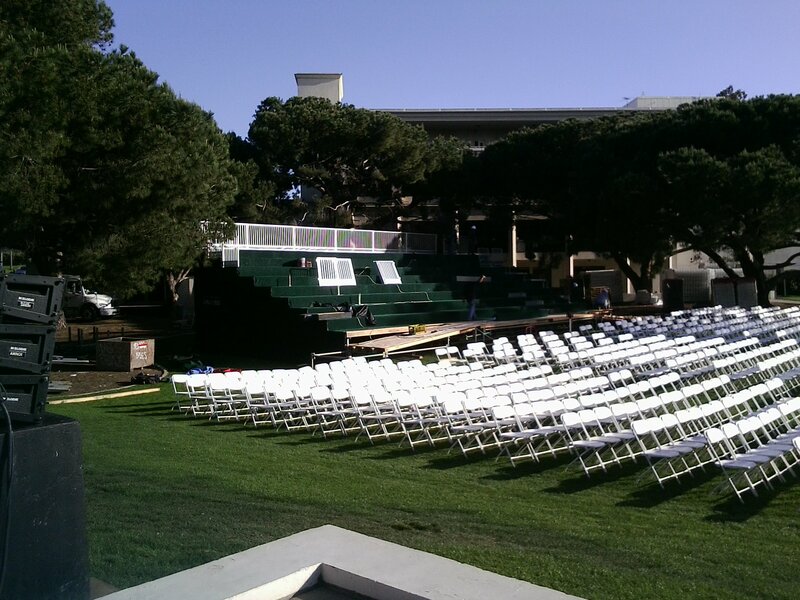 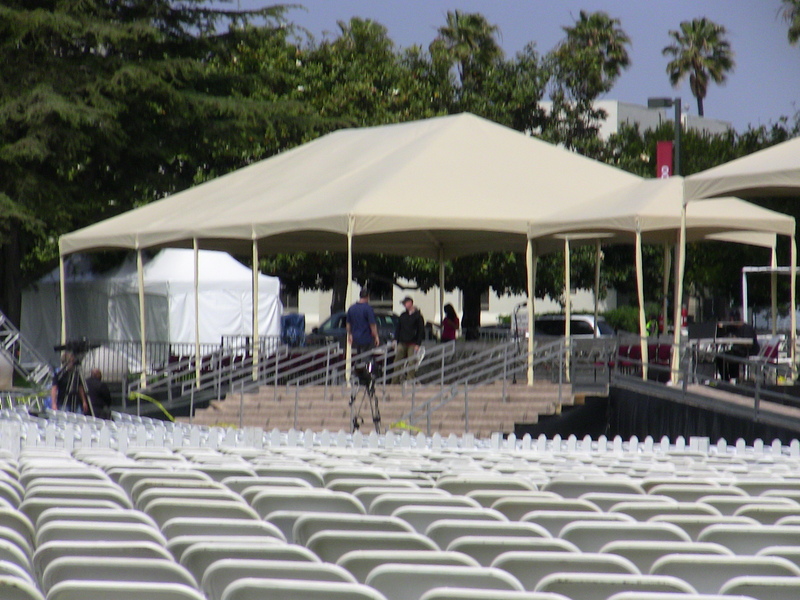 As my freshman year comes to an end, the LMU campus is preparing to say goodbye to the Centennial Graduates of the Class of 2012. 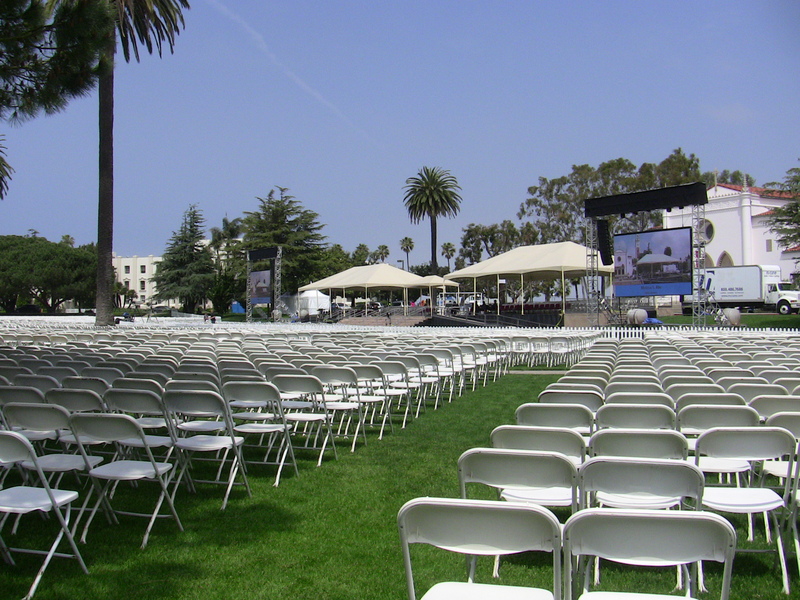 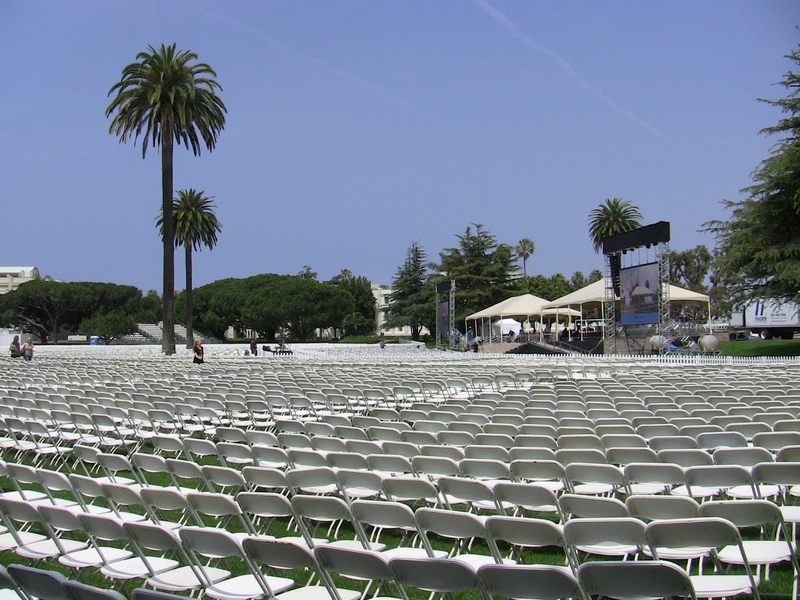 The entire Sunken Garden is a sea of white chairs in preparation for Commencement, with the length of Alumni Mall in the backdrop. 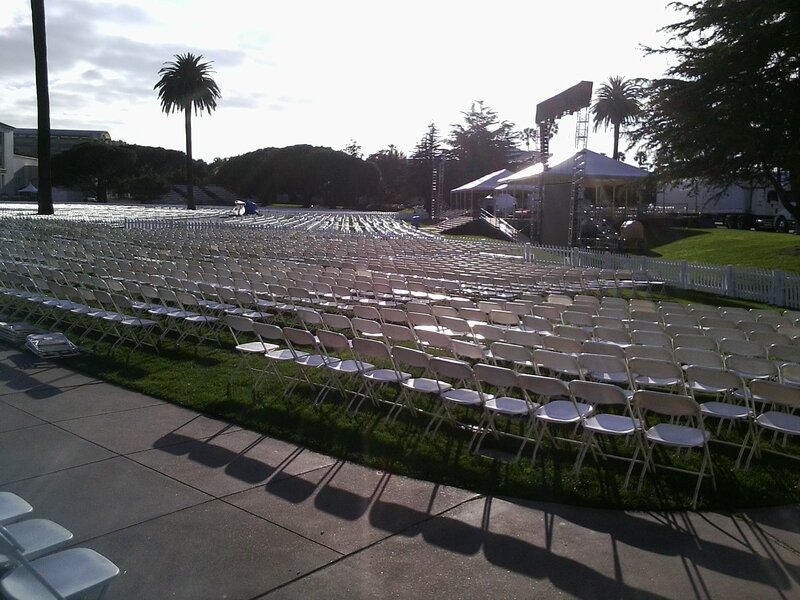 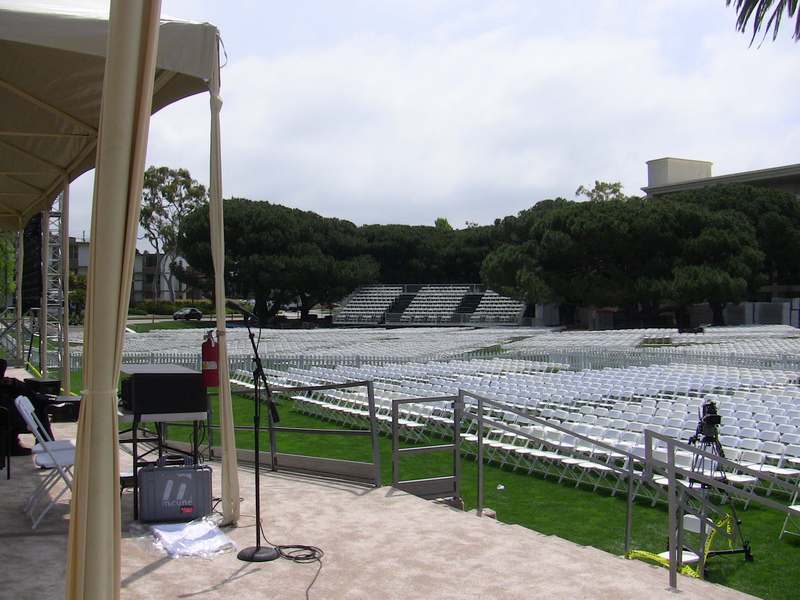 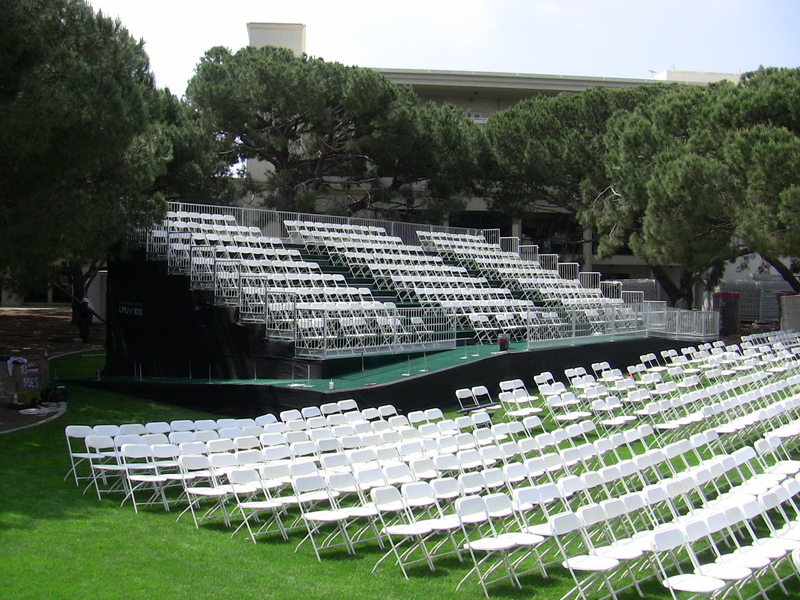 It’s impossible to walk past the stage or through the unending rows of seats and not imagine what it will feel like, 3 years from now, when I’ll be part of that procession of graduates making the long walk from Gersten Pavilion. 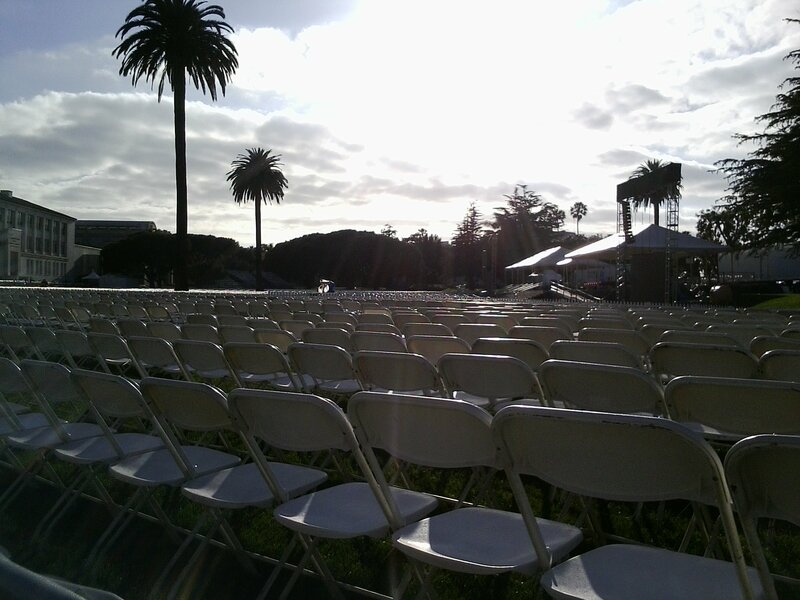 Today, I sat in the chairs where the graduates will sit. 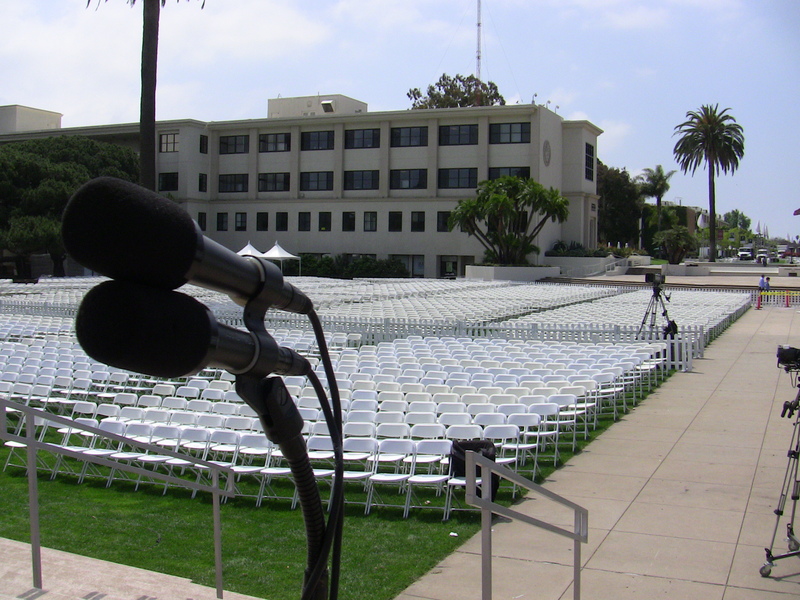 Then, I went up on the stage and stood at the mic, and got a glimpse into my future. 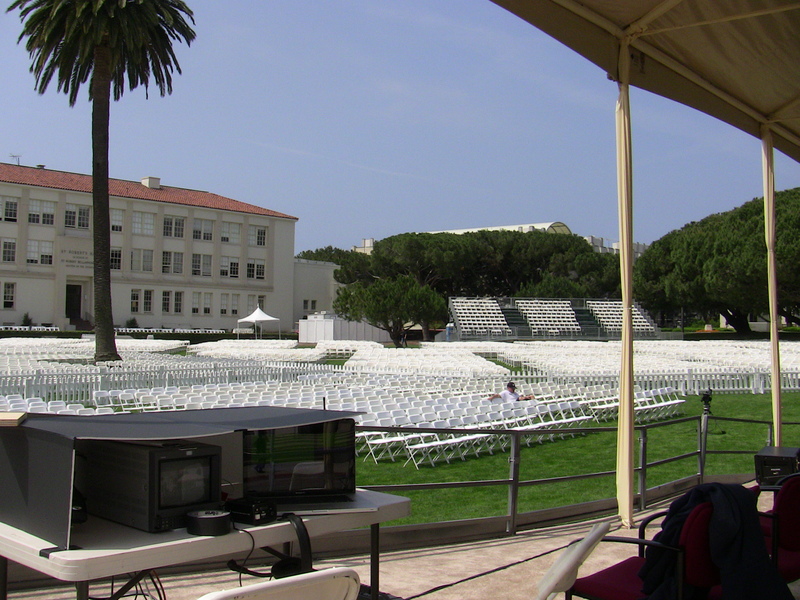 But, for now, CONGRATULATIONS to the 2012 Centennial Graduates of Loyola Marymount University!!! 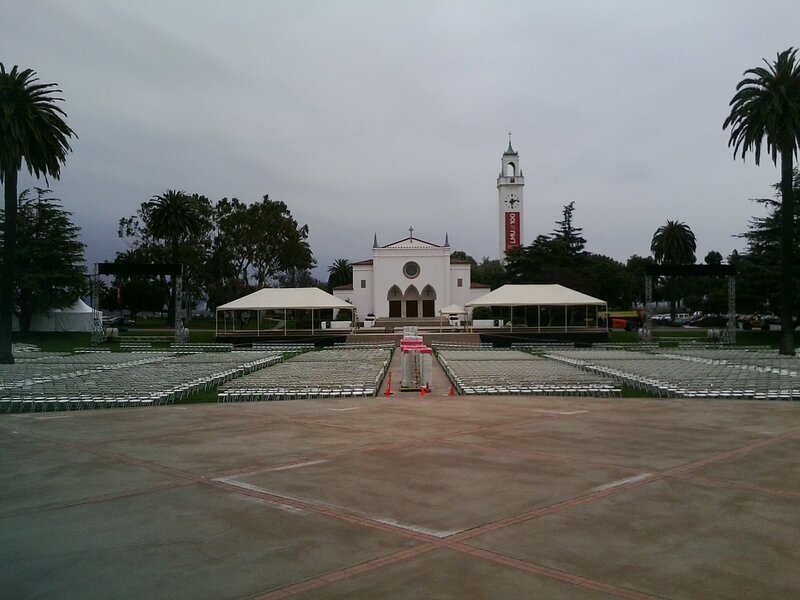 05/31/2012 UPDATE: The proceedings were awesome! 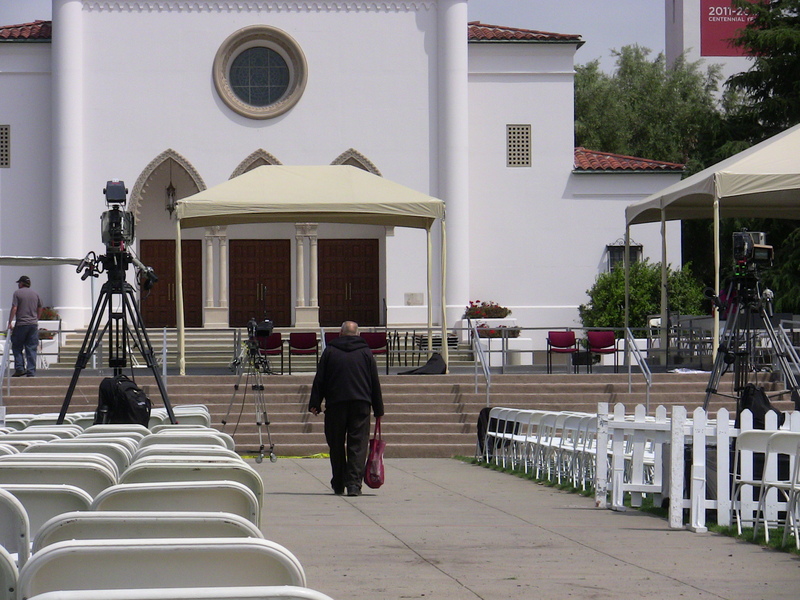 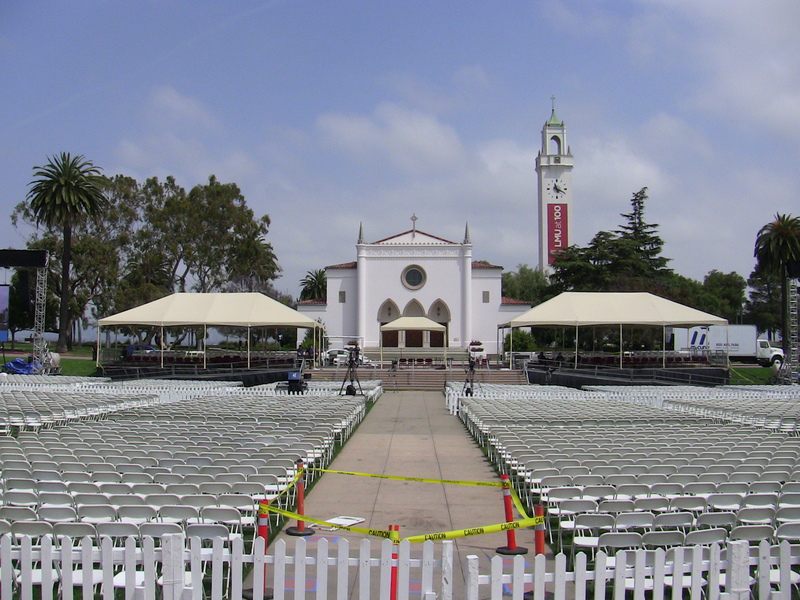 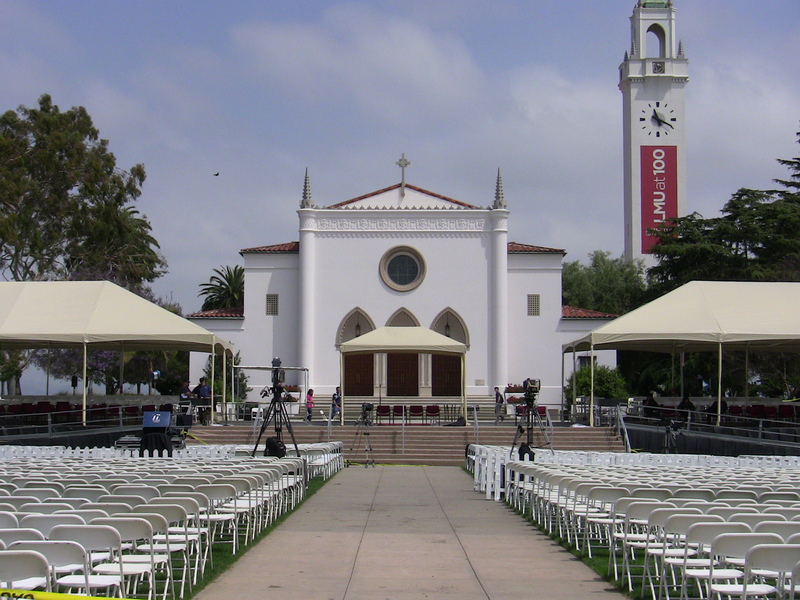 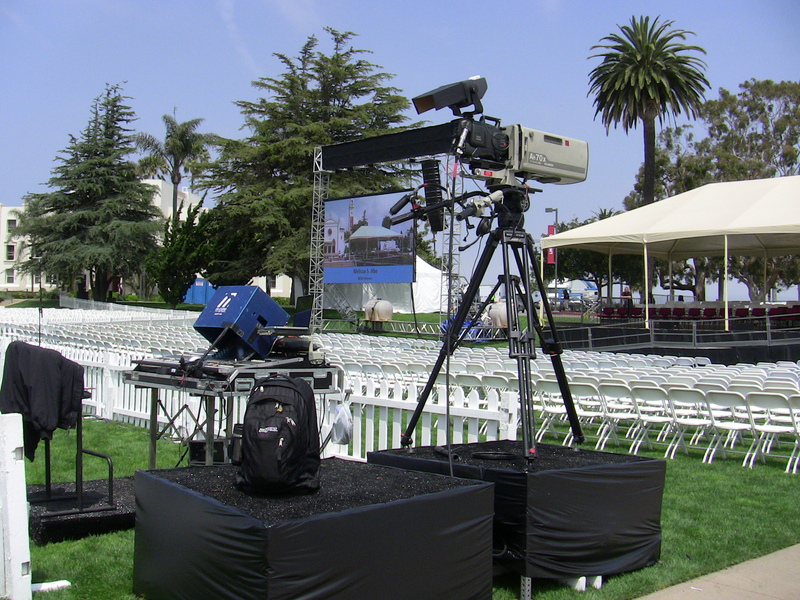 For anyone who wanted to be there, but missed it, you can watch LMU’s official webcast video playback of the Commencement Mass, Undergrad Commencement and the Graduate Commencement by clicking right here … 2012 Commencement Webcasts.